Our staff of watchmakers is highly skilled and is either a Certified or Master watchmaking professional. 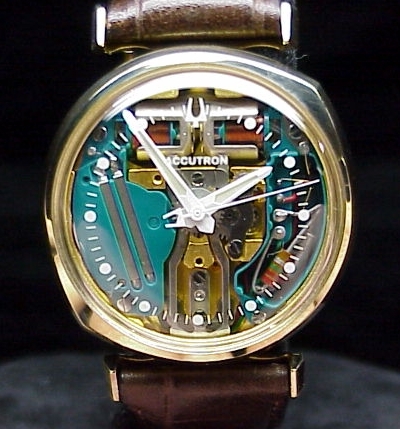 We've received specific Accutron repair training from Bulova's Master Watchmakers and Trainers many years ago. Our watchmakers attend continuing education classes either at AWCI or WOSTEP every year. Because of our relationship with Bulova, we've purchased their remaining New/Old Stock of all vintage 214, 218 Series & 224 Series Accutron Repair parts. Within a few days of receiving your Accutron, we'll provide a detailed estimate for repair. All estimates are in written form and are sent by either email or postal mail, whichever you request. See below for the full "OFT Accutron Spaceview Repair Process"
A Mail In Accutron Repair Form is provided for your convenience. It's an online form that can be filled out on your screen, then printed and packaged with your Accutron. (See "Packaging & Shipping" suggestions below.) Once your watch arrives, it is locked in a secured location with fire and theft monitoring 24/7/365. Within 4-5 business days following arrival, a skilled Accutron Repair watchmaker will diagnose your Accutron and we'll provide a detailed, written evaluation with clear instructions on how to proceed. Estimates are normally sent by email on the Wednesday following arrival of your package. We accept many forms of payment including Personal Check, Credit/Debit Cards & E-Check. Payment is not processed until we have a clear shipping date for your Accutron. At that time, you'll be notified that we expect to ship your Accutron within the next 7-10 days. We'll notify you again when your Accutron is packaged for shipment, AND provide Tracking information. We then ship repaired Accutrons by 2nd Day Federal Express with special Jeweler's Insurance for high-value items. This is the only shipping method we use for repaired/restored Accutrons. You'll want to read our full Accutron Repair Warranty information. 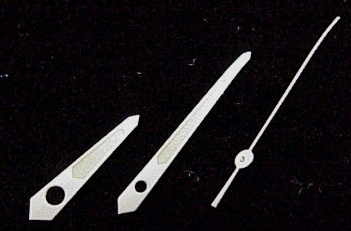 to purchase their remaining Vintage Accutron Spaceview Repair parts inventory, it gives us quite an advantage when repairing or restoring these great tuning fork timepieces "CORRECTLY". We're able to use new/old stock parts instead of cannibalizing one 50-year-old Accutron to repair Another. will typically scour the internet hawking their need for old, used components to install in YOUR watch. Every week we receive Accutrons (Spaceviews in particular), for re- repair that a hobbyist has ruined. Usually the Spaceview owner is so upset that they refuse to contact the hobbyists again to remedy the problems. We're now receiving so many of these "hobbyist" jobs that, depending on the severity of the issues, our watchmakers are reluctant to offer to repair them. We offer many types of Accutron Spaceview Case repair and re-plating services along with authentic Accutron Spaceview Crystals in our repairs. We use only factory-correct, new/old stock Accutron components or newly manufactured factory Accutron parts (as in the case of crystals), from Bulova. As a Bulova Accutron Authorized Dealer and Service Provider, we're able to offer many authentic Accutron repair components not available anywhere else. It's important that your Accutron watch be repaired by a competent, professional watchmaker, with the correct parts, tools, equipment and training. Unfortunately, coils are now in very short supply. For that reason, we install them only in watches receiving our "Full Restoration". Luckily coils are needed in only a small percentage of the Accutron repairs we perform. Pack your watch in a box that's approximately 8" X 4" X 4" in size or a size that can't easily be lost by the carrier. We recommend wrapping the item in bubble-wrap and then packing in styrofoam peanuts or void air bags. We recommend using USPS Registered, Insured Mail for shipping timepieces to us. We do not recommend using UPS or FedEx Ground carrier services. ALL PACKAGING (and old batteries) WILL BE DISCARDED. Our $65 Estimate Fee on Vintage Accutron Repair includes partial disassembly to properly diagnose needed repairs, detailed written estimate by email, and return shipping with insurance and tracking if repair is declined. If recommended repairs are performed, (after receiving your approval) the Estimate is FREE. If the estimate fee was paid by check, it's simply used as a deposit toward repairs. Please allow adequate turnaround time. As the largest Accutron Repair studio in the U.S., turnaround time can vary depending on the number of repairs in our studio at any given point. It will also vary depending on specific services being performed. For instance, certain cosmetic restorations require a bit more time. Our schedule changes seasonally also. Our studio is normally closed 2 weeks in July and also the month of December. Our current turnaround time is 5-8 weeks. Your patience is always appreciated. Recommended for Repair of ALL Bulova Accutron 214, 218, 2180, 2181, 2182, 2185, 224, 2240, 2241, 2242, etc, Models. Want Even More Information about Your Accutron or Repair? Awesome! The following may sound like gibberish, but it's designed primarily for search engines. It's all true, of course, but you'll recognize the word density. Apologies. Accutron repair is our specialty. 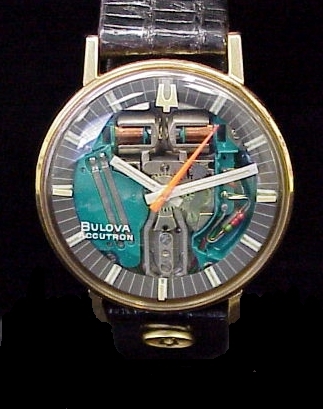 We've been repairing Bulova accutron watches for about 25 years. In a typical week we handle bulova accutron astronaut repairs, bulova accutron spaceview repairs, bulova 214 accutron repairs, bulova accutron 218 repairs, Accutron Spaceview, Accuquartz repairs, Accutron 2242 repair, Mark IV Accutron repair, Accutron Mark II Repairs, Accutron Spaceview repairs or general accutron watch repair. Accutrons of every style and variation are repaired and restored to their original beauty in our studio every day. Bulova has trusted Old Father Time with vintage Accutron 214 and 218 repair and restoration for 25 years. Bulova contacted us when they decided to sell all their vintage accutron repair parts and accutron repair materials/accutron repair equipment and accutron repair tools. For that reason they continue to refer accutron repair customers to OFT every day. They know that we have the new/old stock parts to correctly repair vintage accutrons. Please review our accutron repair Reviews Page from customers who are enjoying their Bulova Accutron Tuning Fork watch again because of Old Father Time repair service. We receive many accutron spaceview watches in our studio for repair every week that have been mishandled by ists. Accutron repair is a delicate process requiring specialized knowledge, skills and equipment. Most often, hobbyists don't possess any of them. We are AWCI Trained Watchmakers. We've also been trained by Bulova Accutron Repair Trainers and Master Watchmakers many years ago. We do not employ hobbyists. We do not send your Accutron out to be repaired by someone else. We do not scrounge the internet looking for worn out parts from another accutron to repair your accutron. That doesn't make good common sense. It's a measure of desperation that hobbyists have to resort to. 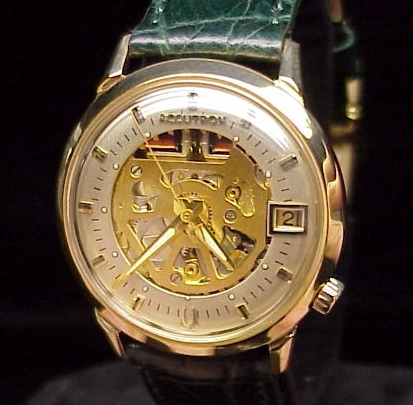 We refer all our modern Accutron Repair to another favorite PROFESSIONAL: The Bulova Watch Co., Woodside, NY.